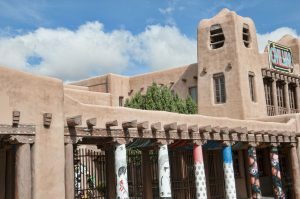 The New Mexico Department of Health’s Medical Cannabis Advisory Board was forced to cancel its May meeting because it lacked a quorum, dealing a further blow to efforts to expand the state’s list of qualifying conditions for medical marijuana. The board is now down to two members, one short of the three needed for a quorum, the Santa Fe New Mexican reported. The board holds two meetings each year at which it can consider recommending changes to the state’s medical cannabis program. The board’s recommendations, however, aren’t always acted on in a speedy manner. According to the New Mexican, Health Secretary Lynn Gallagher still has not acted on the advisory board’s November recommendation to add opiate addiction to the list of qualifying conditions. That said, the latest developments have had little effect on the state’s overall MMJ businesses, Erik Briones – founder of New Mexico’s Minerva Canna Group, a vertically integrated medical cannabis business – told Marijuana Business Daily. The state’s MMJ patient count swelled to 53,585 last month from some 34,900 in early 2017. A drop in the cost for a physician’s evaluation to qualify for MMJ. Shorter wait times to receive a medical ID card.